Take Flight! 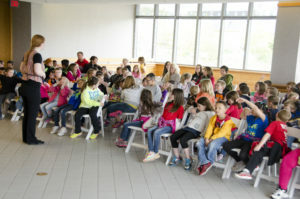 Wildlife Education provides traveling educational programs about wildlife and ecology. Through the use of live animals, natural artifacts, and theatrical techniques, Take Flight! brings the importance of understanding the natural world to life. Presented by the Robert Cooper Audubon Society and the BSU student chapter of the Wildlife Society, Minnetrista is proud to host Take Flight! Join presenter Mark Booth as he orchestrates a live raptor presentation. See these magnificent predators up close and hear amazing stories of our shared history.